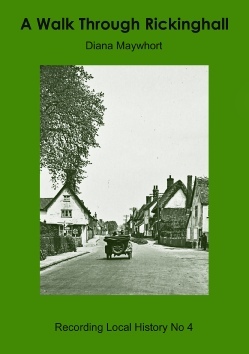 The aim of this guide is not to provide a history of the village itself, but to take you on a walk through Rickinghall Inferior and Superior and tell you as much of the history of each house as the author has been able to find from research and information from the people who grew up in the village. The villages of Rickinghall, together with the neighbouring village of Botesdale, has a number of interesting buildings including good examples of houses from the last 500 years, the oldest dating from the 15th century. In some cases these are easy to recognise, but many were extended and brick-faced in later centuries when timber-framed houses had become old fashioned and people wanted their house to appear modern.